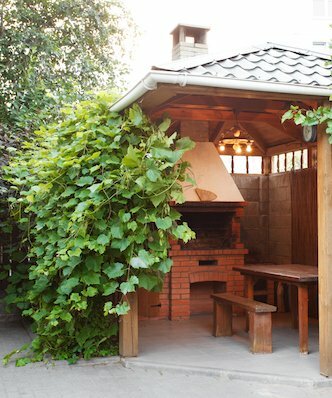 How much entertainment can be crammed into a small space? 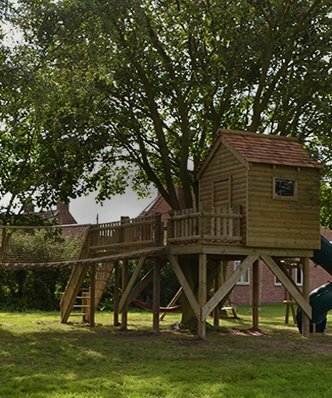 This tower with swing extension is a fantastic play set for any garden. 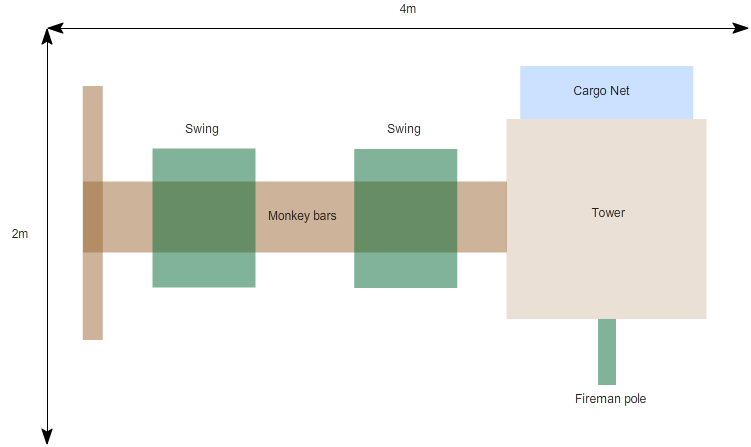 With a long monkey bar swing, you can either have two children swinging at once. Or take it in turns to swing across the void. The swings are also interchangeable, so you choose your preferred swing options. 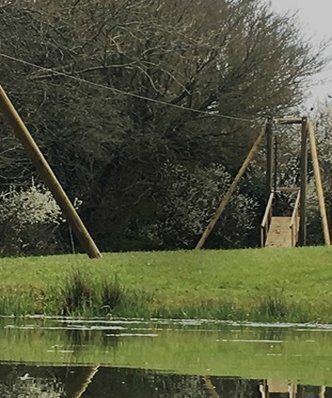 From tyres to buttons, trapezes to rope ladders, and if there’s more space we can even add a third swing. On the rear of the tower is a 8ft cargo net, and the fireman’s pole means a quick getaway for those who want to get on with the rest of their play at ground level. 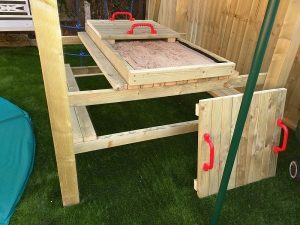 Under the tower, we have fitted a sand play table, which doubles as a picnic area to eat outdoors. The in-ground trampoline was already in place, but we built carefully around it. And, for it to be used safely, the customer needs to unhook the swings from the cross-beam. 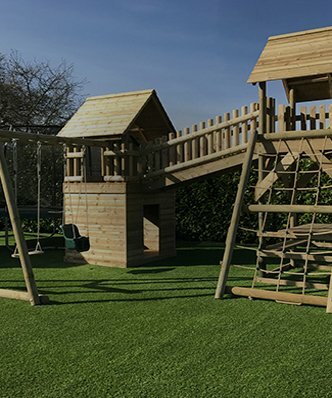 This square timbered climbing frame comes with a ten year anti-rot guarantee, is suitable for a family of four and will provide entertainment and fun for many years to come. Please note: The in-ground trampoline was installed by the customer. 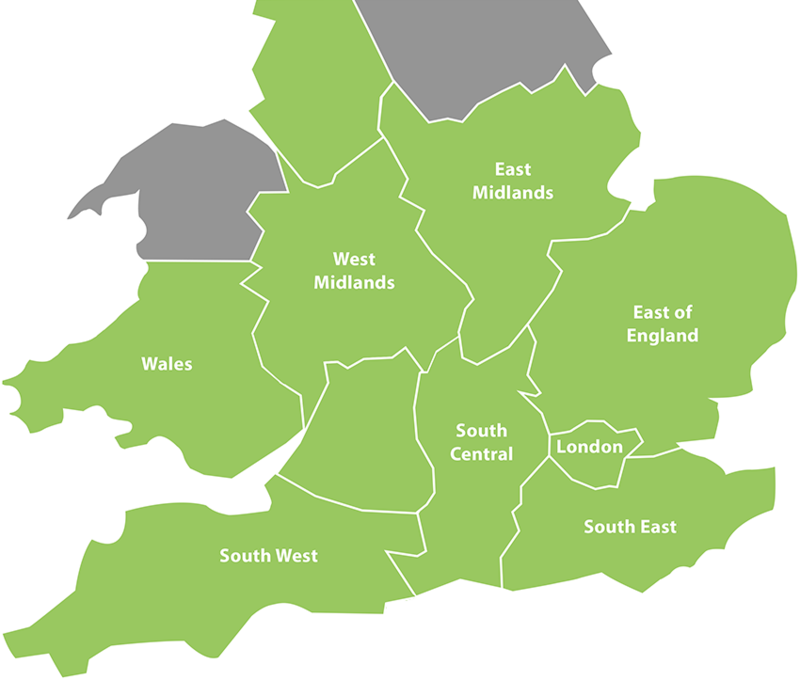 Although if this is something you are looking for, we may be able to help you.